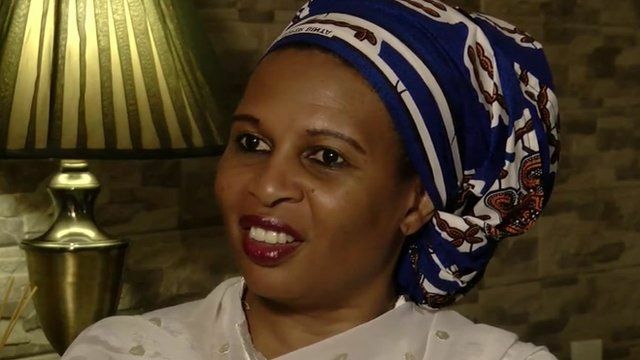 “Nigeria has been ravaged by a two-decade old insurgency led by Boko Haram” says Dr. Fatima Akilu, a psychologist, author, former government official, now Director of the Neem Foundation, and a member of the global Women’s Alliance for Security Leadership (WASL). The devastation in Nigerian communities is matched by the overcrowded prisons where thousands of Nigerians – mainly men – reside. They are suspected of belonging to Boko Haram, the insurgent group renowned for waging a war against ‘Western education’ and claiming to uphold strict Islamic values. Years into Boko Haram’s terrorism, Nigeria’s military failed to stop the murders, abductions, and extremist ideology. In 2012 the government of Goodluck Jonathan adopted a new ‘soft approach’ of deradicalization. Dr. Akilu was appointed to run the country’s first official counter-extremism program. A psychologist and an author who writes children’s books with an educational theme, Akilu developed and integrated deradicalization and prevention programs across the prison service and the ministry of education. Akilu spoke to ICAN’s Aya Nader about how extremism affects women in her country, discussed rehabilitation and reintegration of extremists, and shared what motivates her to keep the fight for peace ignited. How long have you been involved in peace and security policy work and practice? I have now been in the field of security and peace for six years, having worked for a number of years in development and prior to that in forensics. I was attracted due to the many overlaps I saw with my previous work. It was a unique opportunity to bring together understandings and competencies I had learnt from the field of psychology, development and communication. What drives you to work on rehabilitation and reintegration? Why is it important among so many other issues? This is the current issue of our time. So many lives have been lost and continue to be lost needlessly, blighting a generation. I work in this area to try and find solutions that will ensure that those affected by conflict can return and reintegrate into communities they had lived in. I work in this area because I have seen the opportunities. It gives us a chance to remake our society, address the things that led to the conflict, find purpose for our youth, empower our women and strengthen both access to and quality of education. What key strategies have you used to facilitate your work? Neem Foundation was set up in 2012 to respond to the needs caused by the insurgency in the north east. We believe that response must be holistic to encompass both perpetrators as well as victims of the conflict while giving priority to understanding root causes and how to mitigate them. Our work consists of de radicalization working with terrorists, their wives, mothers and children. We also work with victims providing them with psychological services to address their trauma. Last year we started a specialist children’s trauma services that provides counseling therapy to children under the age of 14 in a safe environment. The challenges of the insurgency meant that there is a deficit in skills needed to respond, so we opened a training center which offers year round training in psychological assessment tools, counseling techniques, counseling for children and working with victims of gender based violence. In addition we offer workshops on PVE/CVE. How is your society treating women and girls returning from violent extremist groups? There is currently no specific gendered response to returnees, though we now have a body of research that states women and girls experience captivity very differently and often face more gender based violence as well as stigma. A lot of women are also returning as head of households, with little socio economic or societal support. Women and girls returning have reported facing sexual violence, rejection, stigma and immense poverty. Trauma levels have also been reported to be extremely high. Service provision that focuses solely on the special needs of women and girls is currently provided on a very ad hoc basis mainly by NGOs. What motivated the women to join Boko Haram? and what did they experience there? There were many pathways for women into Boko Haram, the majority were abducted and forced into the group. But I ran a rehabilitation program for women who joined voluntarily in 2016/2017. For those women, they joined because Boko Haram gave them many choices, they felt empowered. Some were allowed to participate in combat, keep slaves, handle sophisticated weapons and also had access to money and material goods. For others marrying a Boko Haram commander conferred a certain status on them., it allowed them to stand out and command respect which was previously denied them. To put things in context, in Nigeria, women’s voices are often ignored, and they have little representation in decision making platforms. We have less than 13% women in cabinet, less than a quarter of elected positions are held by women, and at present there are no women heading any of the national or state security agencies. Yet this is where major policy decisions are made on peace and security. Women are called upon for input largely in areas of early warning but their voices are muted when it comes to national plans that affect them and their children. How do you approach working on rehabilitation and reintegration from violent extremism as an independent woman civil society actor? The key to working in this field as a civil society actor is collaboration. We are not able to mount large scale responses, only the government can do that. We try to engage in small projects that are evidence based as proof of concepts and work with other organizations as well as governments starting at local level to scale up. Collaboration is important for a number of reasons. No one has the monopoly of experience thus shared learning becomes very important. Secondly, civil society actors cannot do large scale projects thus what we can provide are small projects as proof of concept that can be scaled up. It is important for us to collaborate with government at all levels, to help bridge the trust deficit that is often prevalent between government and communities to ensure that projects have reach. Collaboration between civil society actors also reduces duplication, identifies gaps, establishes referral networks thus expertise and resources are shared, and more people can receive services. Neem foundation works with International NGO’s to design and implement projects in areas that they cannot reach, we work with local NGO’s to build their capacity and we work with government to design policy frameworks that govern our engagement in this area. Is there a method to contain extremist thought before it takes over? To complete the holistic model we have an early warning community response mechanism that we have developed working with communities, through research and stakeholder engagement. Our early warning system was set up following research that we conducted on 20 communities where a large number of individuals had joined Boko Haram from. We were able to draw a list of the main reasons youth joined from those communities and drafted an index of radicalization. We then set up a community management team in each of the communities, consisting of religions leaders from all faiths, traditional leaders, women and youth groups, government officials including the security sector. We provide workshops once a month about identification of signs of radicalization which they then pass down to other members of their community. Selected people in the community are given phones especially those that live far from the center of the town or village to phone in unusual behavior. All members of the community can receive information and then meet to decide response. If it is something that cannot be dealt with at the community level, it is then escalated up to the state level. We monitor the identified threats through a software that we have developed and follow up on the response. One example of how it works is that in one of our communities a religious sect emerged, a woman reported that a young man she knew had joined. The community management team met with the leader of the sect at the mosque he was using. The resulting discussion indicated that it was set up just two months earlier and they had a different extreme understanding of religion than the mainstream but they were confined to their mosque and not violent. Thus the community management team will continue to monitor them while it educates other youths in the community of the dangers of such groups. Being in this field of work, you must encounter countless people. Do you recall a certain incident that gave you a stronger push for what you strive for? I have many stories that have moved me towards doing this work. One is forming a relationship with the chief Imam of Boko Haram who then convinced other members including senior commanders to participate in my deradicalization program. Another is working with a young girl who panicked and failed to detonate her suicide vest, providing her with counseling and putting her in school and seeing how well she is doing. Others include seeing severely traumatized people regaining their will to live after a month of therapeutic intervention. I also get great joy in watching young girls that were abducted by Boko Haram playing sports and going to school. A lot of whom had never attended school before. What would you have governments do differently, if there was one thing you could change, to enable better rehabilitation and reintegration of women and girls? Simply put people first, prioritize the response to victims and ensure that communities are supported in rebuilding their lives. This means putting the kind of resources spent on military campaigns in peace building. How do you see the role of women in peace building? Women hold the key to any peace building initiatives as they experience the conflict in a totally different way from men. They have been silently bearing the brunt as mothers, wives, sisters, participants and saviors, yet they are still excluded from the solutions table. We have found that when women are included in decision making there tends to be more focus away from military solutions. I feel that women when they are called upon it is often at the local level but we need more women at senior levels in government particularly the security sectors. Why did you join Women Alliance for Security Leadership? What is the value added? I joined WASL because of the uniqueness of the alliance. I had not heard previously of any network of women working in security who could come together, learn and share knowledge and experiences. It has been an honor to be able to participate, the alliance has exposed me to incredible practices led by women from all over the world, it has enabled me to discern what works and what does not in this area. I know that within the group I do not have to feel alone for in each corner of the world I have someone working on something similar that I can count on for support. Being part of a women’s alliance has brought to the fore the many ways that women continue to be marginalized in the area of peace and security, but it also emphasizes the power of women, so many members of WASL are doing extraordinary things. My life and work has certainly grown richer by my participation in the network. At every meeting I have learnt something new that I can use to enhance my work. We spoke to Yemeni peace activist Muna Luqman, co-founder of the Women Solidarity Network and member of the Women’s Alliance for Security Leadership (WASL), about the war in Yemen, its devastating ramifications, and about the strength of Yemeni women in the face of this destruction. Mira Kusumarini talks to ICAN about C-SAVE’s efforts to alter the lives of returnees and prepare their communities to accept them. Nancy Yammout speaks to ICAN about Rescue Me’s efforts to rehabilitate and reintegrate prisoners found guilty of terrorism —and how, over nine years, they’ve engaged with some 680 prisoners, and been pivotal in blocking their re-recruitment into terror groups. Renowned documentary filmmaker Deeya Khan is recognized as a leader in the entertainment industry and on the human rights and peace-building scene. She spoke to us about her work, her vision and what she’s learned about extremism by confronting it face-to-face. Dr. Fatima Akilu spoke to ICAN’s Aya Nader about how extremism affects women in her country, discussed rehabilitation and reintegration of extremists, and shared what motivates her to keep the fight for peace ignited. On International Women’s Day, ICAN’s Peace Heroes series honors Senator Mobina Jaffer, whose life and career capture the spirit and essence of the day. We spoke to her about her experiences as a female envoy and mediator and her persistent struggle to ensure women’s participation in peacemaking and security issues. We spoke to Mossarat Qadeem, Executive Director of PAIMAN Trust, about Trump’s threat to cut financial aid from Pakistan, and about her own work.